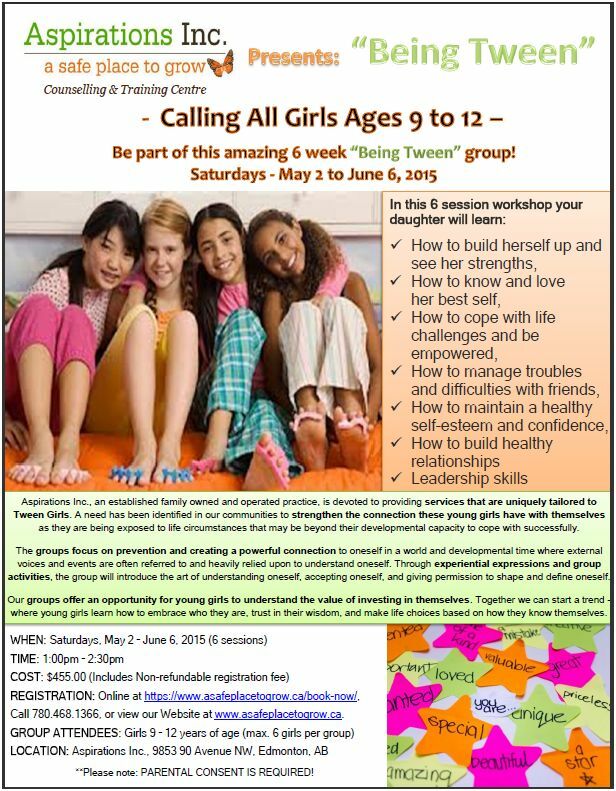 SIGN UP YOUR DAUGHTER FOR OUR “BEING TWEEN” GROUP TODAY! Our group, designed and ran by Psychologists, focuses on creating a powerful conscious connection to oneself in a world and developmental time where external voices and events are often referred to and heavily relied upon to understand oneself. Through experiential activities, our group will introduce the art of understanding oneself, accepting oneself, and giving permission to shape and define oneself. Even though a Tween may not yet be in the position to be fully in charge of herself and the decisions that govern her world, she will learn to have an internal reference point that she can trust to guide her as she grows and matures into a uniquely beautiful woman. Engaging in our group can be the beginning of how a young girl creates an openness to reach out to resources when life becomes overwhelming. This single act can offer resilience to many of the traps our young people erroneously embrace in a desperate need to connect or escape. In pseudo-connections or isolation, many decisions are made that work against the best interest of our overall well being. The consequences usually not made clear until much later in life, when perhaps these patterns of behaviour are much more difficult to change. Join us in our mission to promote health & wellness in our young girls: Where young girls learn how to embrace who they are, trust in their wisdom, and make life choices based on how they know themselves….nurturing themselves as they grow into womanhood and eventually passing their knowledge and strength onto their daughters (or sons).